Our team of talented & experienced florists offer the highest quality of workmanship & designs at the most competitive prices. We offer a personal tailor-made floral design service to suit all styles & budgets. Most of our flowers are freshly delivered from Holland, but we also provide locally grown & environmentally friendly flowers from our own cutting garden & other British flowers & foliage from New Covent garden Market & Flora Britain. We are ready to create a unique event for every bride, complementing her wedding dress and theme. 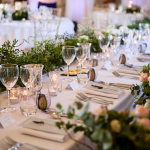 We are passionate about weddings and we feel it needs a very personalised approach to making your flowers fit with all elements of your wedding. We work with you at the start to create mood boards along with guiding you through which flowers are in season and the different props we have to include alongside your flowers. We are based in an old Sussex Barn and work across Sussex, Surrey, Hampshire and London. There is nothing more pleasing than being part of what is one of the happiest and most romantic of occasions and I am as passionate and excited when I create my designs, as I was when I very first became a florist. 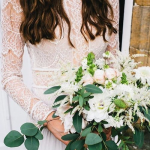 From weddings that are small and intimate to large and formal, my aim is to exceed expectations and create the most beautiful designs and arrangements. I work across the whole of Sussex at many venues from castles, barns, churches to village halls. 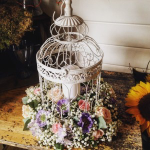 Nell’s Flowers is an independent, traditional British flower shop based within 5 miles of Cissbury Barns. We believe in seasonality and keeping our carbon footprint to a minimum. We do this by sourcing many of our flowers from local growers such as The Sussex Flower Farm. Couples can come to the farm, choose their flowers and then see them transformed into stunning arrangements for their big day. It’s a beautiful process to be involved in and such fun! 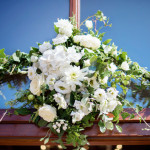 At Stems, we design and create individual and bespoke wedding flowers for each of our clients. It is important for us to get to know every bride and groom to allow us to really understand your vision. 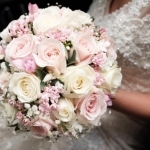 We will then provide you with a bespoke quotation, starting the journey through to your big day. We work closely with you throughout to ensure that your flowers will really wow your guests and be remembered for years to come.